Sports Nutrition - Maximize Your Potential! We help you to optimize your performance and your energy levels while you’re exercising. Tailoring your diet to support your exercise routine can help you achieve better results! Want To See Better Results? Talk To An Expert. Sports Nutrition may help you achieve the next level. Helping you to train harder! Through our sports nutrition consultation, you are able to focus on good eating habits while ensuring the right intake of all micro- and macronutrients. For example, if you are training for endurance events, you meals should include more carbohydrates before the event to boost your energy and performance at the right time. Yet, our sports nutrition plans go beyond simply what to eat – the correct lifestyle habits and food timings can allow you to maximize your workout and the recovery phase between trainings – thus you may be able to train at your full potential! See our nutritionists and dietitians if you want to be able to maximize your potential! 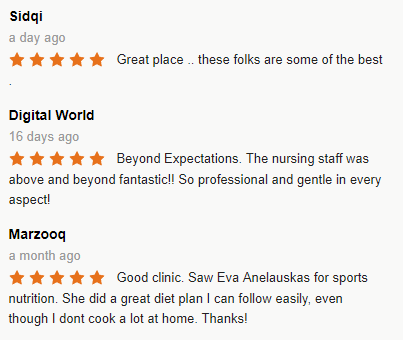 Book a consultation appointment with one of our dietitians or nutritionists. Our team will work together to analyze your eating habits & determine the ways in which your workout routing and training schedule can be optimized. A blood & DNA test will be conducted to formulate a plan as per your individual gene profile. Considering the results of your tests, a tailored diet plan will be developed to help you achieve the best results. Our sports nutrition specialists address your needs – medical health, nutrition and diets for the highest sports performance! 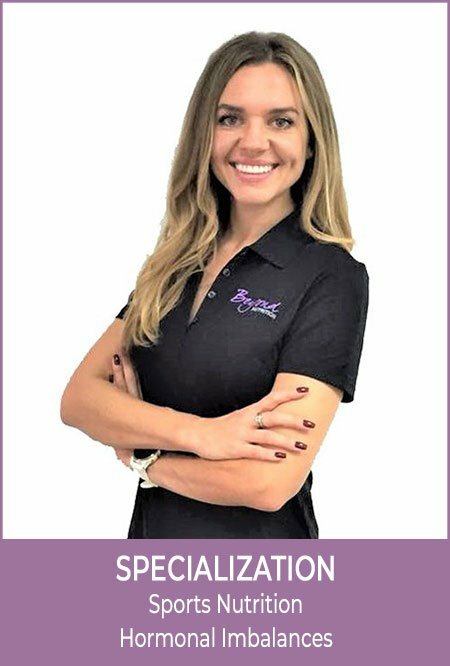 Eva is a Nutritionist with a Master of Science in Food Technology and Nutrition from Sweden and Master of Science in Sports & Exercise Nutrition from the UK. She is specialized in Sports Nutrition, Hormonal Imbalances and Weight Loss. Nadia is a Senior Clinical Dietitian with a Bachelor Degree of Dietetics from the University of Pretoria in South Africa. 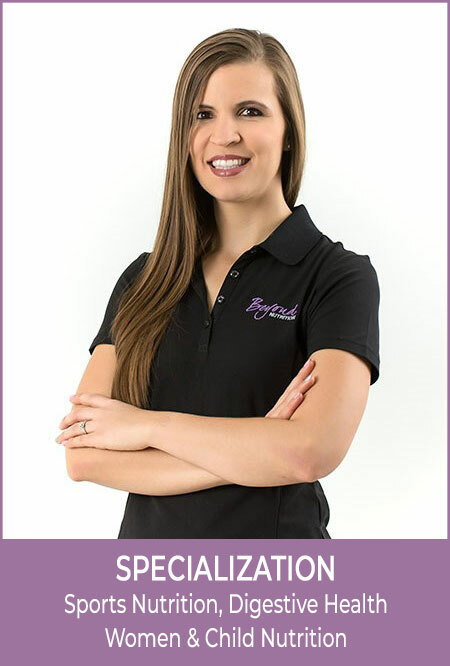 She is specialized in Sports Nutrition, Digestive Health, Women and Child Nutrition. Take Your Training To The Next Level With Proper Sports Nutrition In Dubai! At Beyond Nutrition, we are dedicated to help you make the most out of your training sessions. As part of our promise of making it possible for you to achieve the next level, we offer consultation on sports nutrition as well. With sports nutrition in Dubai, you will be in the position to focus your attention on healthy eating habits, while being sure that your body is receiving all the right amounts of micro- and macronutrients. For example, if your focus is on training for endurance events, then it is vital for your meals to contain higher amounts of carbohydrates before the event. This is meant to give a boost to your performance and energy at the right time. What sets our sports nutrition plans apart from those offered by other nutrition centers is that these go beyond just helping you determine what you should eat. For us, it is important for you to eat what can help you achieve your fitness goals, fix your food timings the right way, and indulge in habits that can maximize your workout and the recovery phase between training sessions. All of this is meant to assist you in training at your full potential. Our team of highly qualified and experienced sports nutritionists is here to help you optimize your performance and increase your energy levels while you are exercising. Owing to their expertise, they are in position to customize your diet in a manner that it supports your workout routine and enables you to achieve the best results. Book An Appointment With A Seasoned Sports Nutritionist Right Now! Maximize on your exercise routine while fulfilling your nutritional requirements – give us a call at +971 4 243 4166 right now to book an appointment. You can also email us at [email protected] or complete our online contact form for more information.